The first round of games starts on Saturday, Feb. 9 and will continue until the 13th, the day before OWL season two starts for real. The first round of matches includes all of the OWL teams facing off against each other in scrims, like the Shanghai Dragons against the Chengdu Hunters and Toronto Defiant against the Philadelphia Fusion. Unfortunately, if Shanghai win, it will only be a scrim victory. But it might be a good sign of what’s to come for the rest of the season! Following those games, a bunch of the players will face off in Ashe 1 versus 1s (with no B.O.B. or Dynamite) and Ana paintball 1 versus 1s (one shot, one kill). These duels will take place on the normal maps like Castillo, Necropolis, and Ecopoint: Antarctica. I just want to see Riley “Fahzix” Taylor of the Washington Justice go against Joon-Hyeok “Zunba” Kim’s (Seoul Dynasty) Ana. 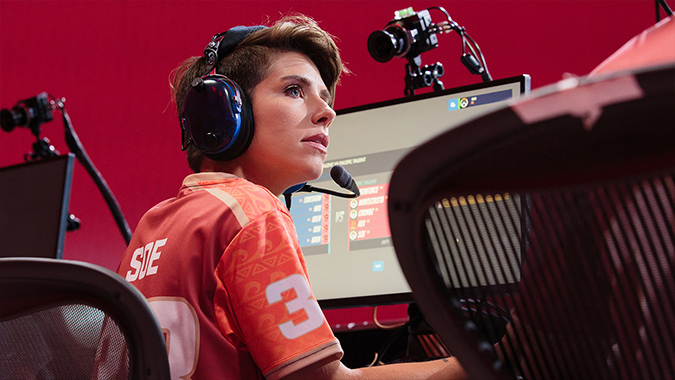 The Capture the Flag games on the next day include some OWL teams like the Toronto Defiant and Hangzhou Spark. It’ll be a joy to see what kind of weird team compositions and strategies will happen on maps like Ayutthaya. Finally, a lot of Twitch streamers and casters will face off against each other in normal 6 versus 6 games, including Doa, Soe, Stylosa, Emongg, and Fran. If you watch any streams, you know that Emongg and Fran are the classic support and tank duo, so we need to see them fight on stage. Fran’s Ana isn’t a joke and neither is Emongg’s D.Va. The Community Countdown event is surely going to be a fun way to start the second season of OWL, which starts on February 14th.